Thea & Spencer will be getting married new years in Billings. Engagement Photography Red Lodge, Montana. It might not feel that much like ski season anymore, but a few weekends ago I had an awesome day upon the mountain in Red Lodge photographing Thea & Spencer. 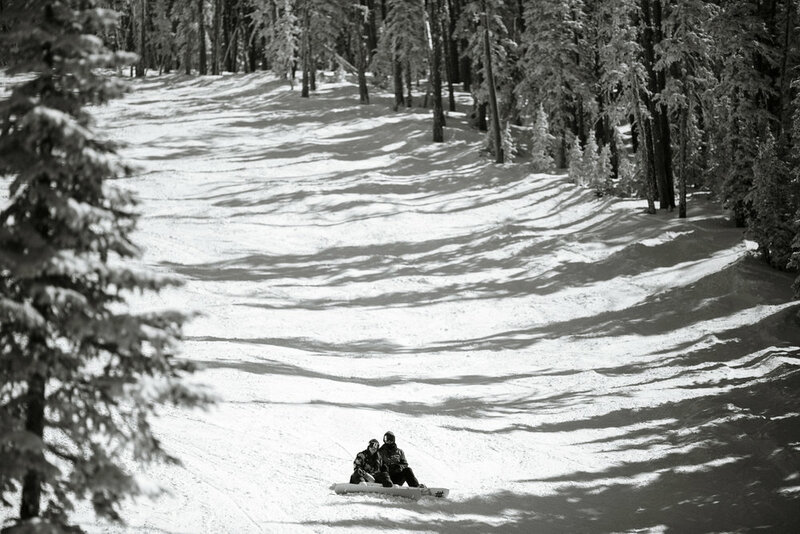 This engaged couple grew up in the area & love snowboarding. When they were working on planning some wedding details they wanted to incorporate a bit of there past and one of there hobbies into the engagement photos. Engaged couple getting married in Billing Montana. When your planning your wedding and thinking about incorporating themes or props into your photography session think about your love story and the things that you like to do together. It’s also important to keep this in mind when doing your wedding planning. Don’t worry so much about what the “right” or “traditional” way of planning a wedding. Just draw from who you are as a couple and your wedding will turn out beautifully! Red Lodge Wedding Photographer Zak Jokela enjoys creating custom sessions for his wedding clients. Red Lodge, Montana Engagement. photography. Love in the Rocky Mountains. Another important thing to remember when planning your Montana wedding is to ask your vendors when you have questions. We are at weddings almost every weekend (& sometime multiple weddings a weekend!) so we see how a lot of people have creatively solved some of the same planning problems you are working on and we want to help you but you need to ask. Setting up a phone call or making a coffee date with your wedding vendors to brainstorm ideas during the wedding planning process can be a huge help and reduce the stress! If done a few times during the planning process can save you a lot of stress! But, meetings like this do more than just help you with your wedding planning process, they also give us another opportunity to connect so we, your hard working wedding vendors, can better understand the vision for the day and custom tailor our wedding services to it. For this engagement session, after we were done on the hill, we headed to downtown Red Lodge for more photos in a different style. During any photography session or wedding a variety of techniques are used to help you feel comfortable and relaxed in front of the camera. The goal is to create Candid & Natural photos. You will look and feel good during your photo session! I hope you enjoy what you’ve seen!